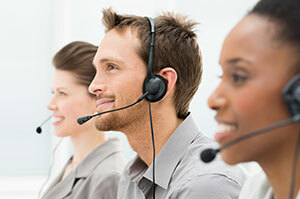 TECHNICAL SUPPORT AND CUSTOMER SERVICE IS OUR #1 PRIORITY! We have over 17 years of experience in providing Platinum Level support to millions of customers and organizations like the US Olympic Committee, The US Air Force Academy, QVC, HSN and many, many more. Our "world class" Technical Support is available to you 7 days a week between the hours of 8AM and 9PM EST Mon-Fri. Email us 24 hours a day at [email protected] provided by our staff of live US based technicians. Serving your every need is our one and only mission. We have a history of doing it better, so we can be there for you whenever you need us. Ask any question. No problem is too big or too small. Get Help Now! Connect me with a tech!